PETE: Sprinkle, sprinkle, all my flowers! Let them grow around my tower! 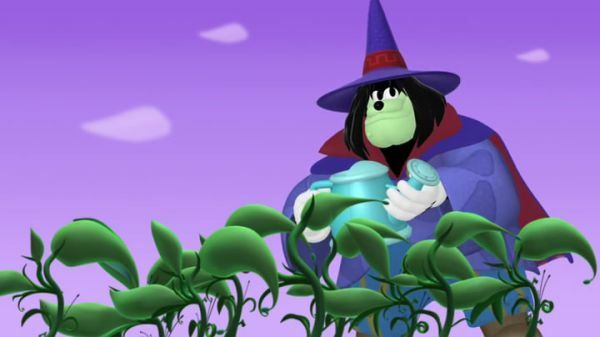 GOOFY: Gawrsh, there's the witch. 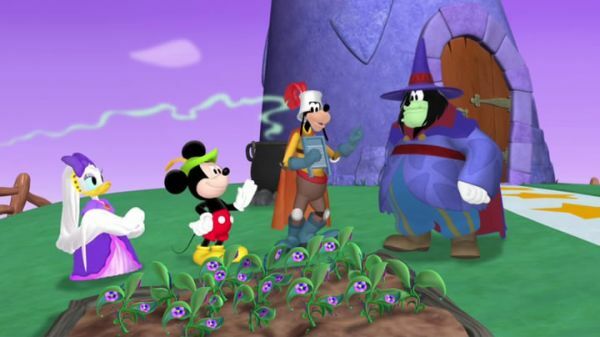 MICKEY MOUSE: Remember, Goofy, you're a brave knight! GOOFY: That's right, I am. I'll go get us the Rapunzel Flower petals we need! PETE: Ain't they something? Fragrant and what not. Eye of newt! Who dares to enter my garden? GOOFY: 'tis I, Sir Goofs-a-lot, your witchli-ness. I'm here with Mickey and Princess Daisy to ask you politely for 12 petals of the Rapunzel Flower. PETE: Oh, no. I'll never give you any of my precious petals! DAISY: Oh, but please! We need to add them to the Professor's fritzer-spritzer potion so my hair will stop growing! PETE: Never! I need the Rapunzel Flower petals for my own potions. 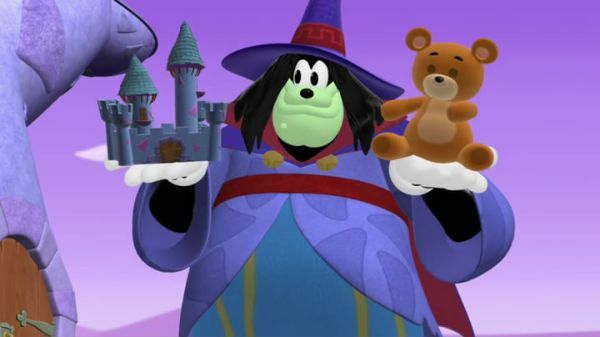 You see, I'm making a potion to shrink Petey Bear so's he can fit inside my toy castle. Now be off with you! Abraca-scram! Weeping warlocks! You and your pesky ponytail are in my way. But not for long. A zooty-toot-toot and a zippity-bop. I'll put you up, up, up in the tower's top. Shaboigon! DAISY: Oh, no! Witch Pete locked us up in his tower! 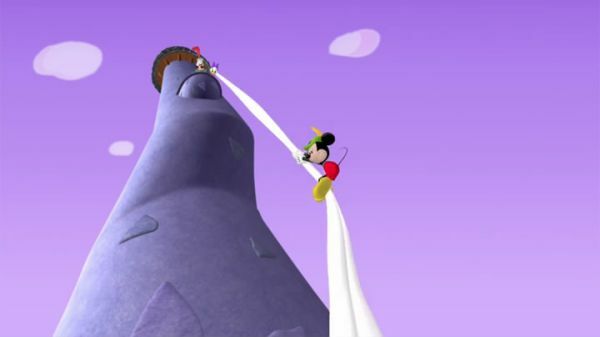 GOOFY: Gawrsh, how are we gonna get down to the ground from here, Mickey? MICKEY MOUSE: Hmm... Maybe Princess Daisy can let her long ponytail hang over the balcony.